I’m all into these micellar waters these days… You may remember my review on the Garnier SkinActive micellar water some time ago. 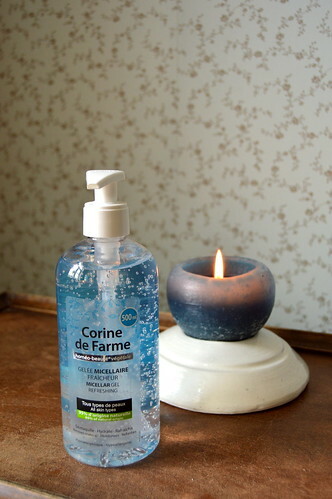 Now I have finished that bottle, it’s onto a new product… I opted for the Corine de Farme micellar gel this time. 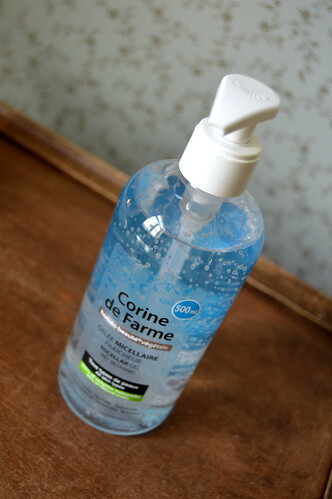 I already tried a micellar water from Corine de Farme (on which you could read this review), but this time I bought the micellar gel of that same brand. In the evenings I tend to take off my make-up with my Estée Lauder cleanser. But in the mornings, after my shower, a micellar water or gel is the perfect (and quickest!) way to cleanse my face. At only about 6 EUR, this micellar gel is a fantastic budget buy. The bottle is too large to take on a weekend break or holiday! 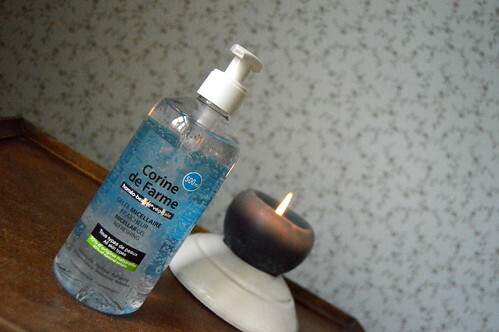 I recommend this micellar gel from Corine de Farme which is a pleasant and cheap product to use! Here you can read a review about another cleansing product I love to use. This entry was posted in Beauty, Skincare and tagged beauty, cleansing, corine de farme, micellar gel, micellar water, skincare.